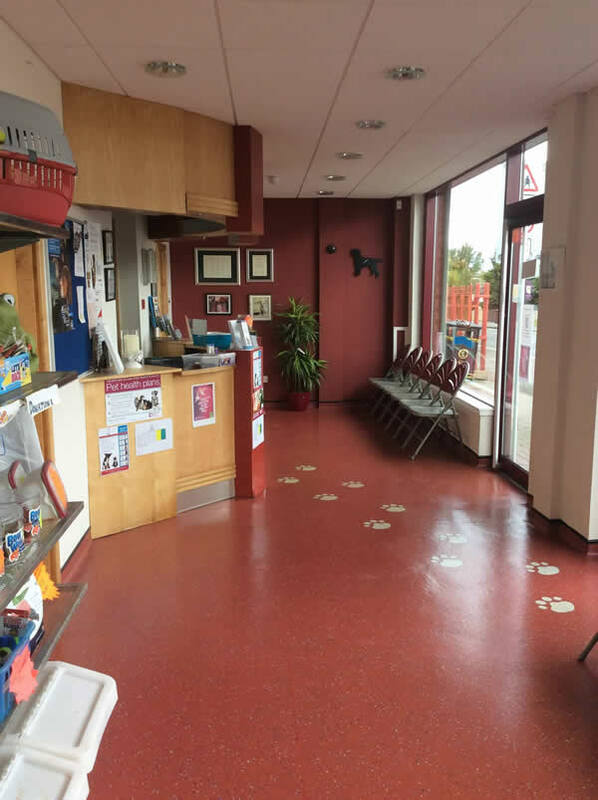 Elaine is the senior vet in Brannock and a partner in the business. Elaine attended the University of Glasgow Vet School and she qualified in 1991. If she is not consulting or operating she is buried in the paperwork! Elaine really enjoys all aspects of caring for our patients and building friendships with patients and clients from their enthusiastic youth to caring for our golden oldies. Outwith work (in the few hours that are left) she is partial to a good book, cocktails and chocolate in no particular order! Seek and Lexi – her cairn terriers – come to work daily but only to get a gravy bone! Iain joined the team on an official basis in April 2015. As Elaine’s husband he has been around the surgery from its planning stages so he is very capable in all areas! As the practice manager, Iain deals with the majority of the paperwork and ensures that it runs smoothly behind the scenes. Frances joined the team as an assistant Vet in September 2016. She graduated from the University of Glasgow Vet School in 2005 and worked for her first 2 years in North Yorkshire before moving to a practice in Glasgow for 9 years. Having grown up in Motherwell she was delighted to have the opportunity to work closer to home and family. Outside of work, Frances is kept very busy with her 3 young children Ryan, Erin and Noel. When she can, she enjoys spending time with her many nieces and nephews, walking her elderly springer spaniel and relaxing with a nice glass of wine at the weekend! Jacqueline joined the Brannock team in December 2016 but has been a small animal vet for the last 13 years after graduating from the University of Glasgow vet school in 2004. She has a keen interest in medicine and surgery as well as oncology. In her spare time she keeps busy looking her family and menagerie of animals on her small holding. Laura joined us in July 2015, previously working for Glasgow University and Cat’s protection. Being passionate about animal welfare, she has her own menagerie at home including Henry the beagle, two rabbits and a very lazy hamster. She has a particular fondness and interest in working with small mammals, particular rabbits. In her spare time she is usually found reading or spending time with family and friends. Rhiannon started working at Brannock in November 2015 as a receptionist. 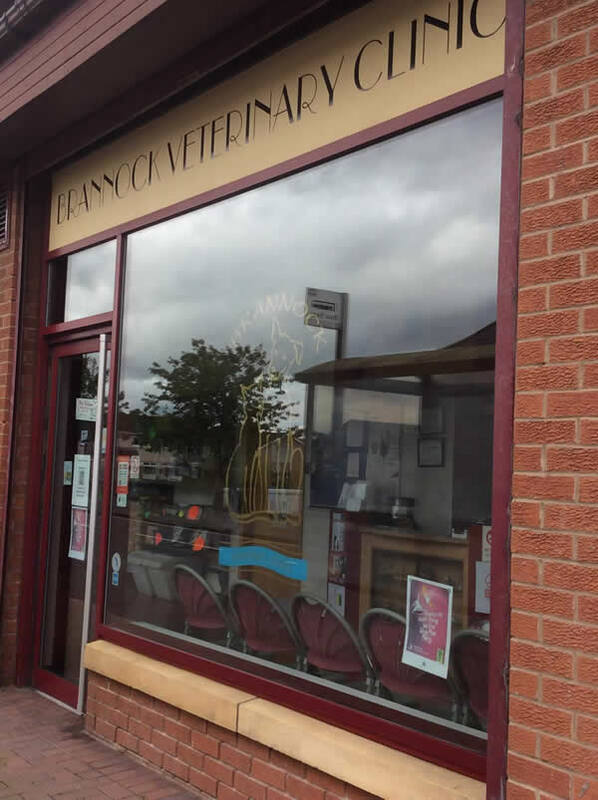 Rhiannon was first introduced to Brannock when she began voluntary work in 2013 till 2015, and has now just started studying to become a Veterinary Care Assistant. With a passion for animals Rhiannon has her own dog Ollie who is a Jack Russell cross Bichon, who we have to confess is not one of our biggest fans! In 2015 Rhiannon took part in a polar expedition trekking north of Greenland. Rhiannon enjoys keeping fit and going out with her family and friends. Amy started working at Brannock in July 2016 as our receptionist. Amy was keen to expand on her knowledge in other aspects of the surgery and she is now studying a Veterinary Care assistant course which she should complete over the next 12 months. Amy has two dogs called Tasha and Tess and a cat called Leo. In her spare time she tends to spend her time with her family and friends, or walking! Jennifer has been employed here at Brannock veterinary clinic since 2013 and is currently in her final year of study for the veterinary nursing degree programme at Edinburgh Napier University. She has adopted a part-time multi-functional role during her studies and can be spotted in Brannock on Saturday mornings assisting wherever help is required. Jennifer takes pride in providing an excellent standard of care to both patients and clients and is the surgery’s self- proclaimed chief pet cuddler! Katie joined the team in June 2014 and was a fantastic help, mainly in reception! Like Jennifer further education has tempted her away and she began Napier University in August 2015 to study veterinary nursing. We wish Katie all the best and are looking forward to when she is back at Brannock on placement. Julie is another University of Glasgow graduate who qualified in 1999. Julie works in the surgery on Saturday mornings and has returned from maternity leave after having two gorgeous smiley little boys called Ethan and Jacob. Julie has a special interest in acupuncture and loves to meet and look after our clients and patients. Clients at Brannock will recognise Chris from days gone by when he used to provide cover as a locum at Brannock. More recently he visits Brannock to help us in cases requiring ultrasound or cardiac investigations. This allows us to offer more advanced investigations within Brannock – an excellent opportunity for clients, patients and Brannock itself.